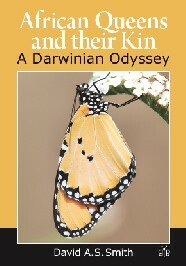 This book is the only biography of this butterfly for 30 years, written in an engaging style by Dr David A.S. Smith, PhD, a world authority in his field. It is packed with data accumulated over 47 years of research, including much material published for the first time. The text is accompanied by 80 centred plated with over 350 colour images, 22 maps, as well as tables, graphs, boxes with special information and numerous diagrams of phylogenetic relatedness. The book is targeted at academics and dedicated amateurs from around the world with interests in the genetics, behaviour, ecology, ecological chemistry, speciation, parsitism and phylogeography of butterflies, as well as entomology in general. Now at a great discount! 3. Who’s Who among the Danaans? 11. The Diadem: dupe or auxillary?